I tried to keep it simple this year, but I still felt like throwing in the towel half way through the Valentine card making/signing madness! But we finished without tears (me and them) and enjoyed most of the process. I decided not to buy cards this year and make them again (what's new? ), but I wanted to keep it simple. 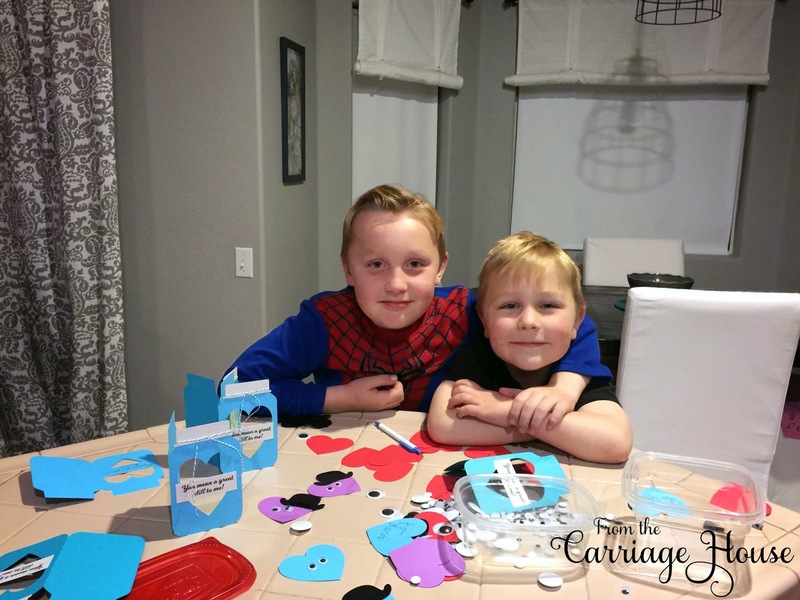 The boys and I each needed 33+ cards for our school Valentine's party. 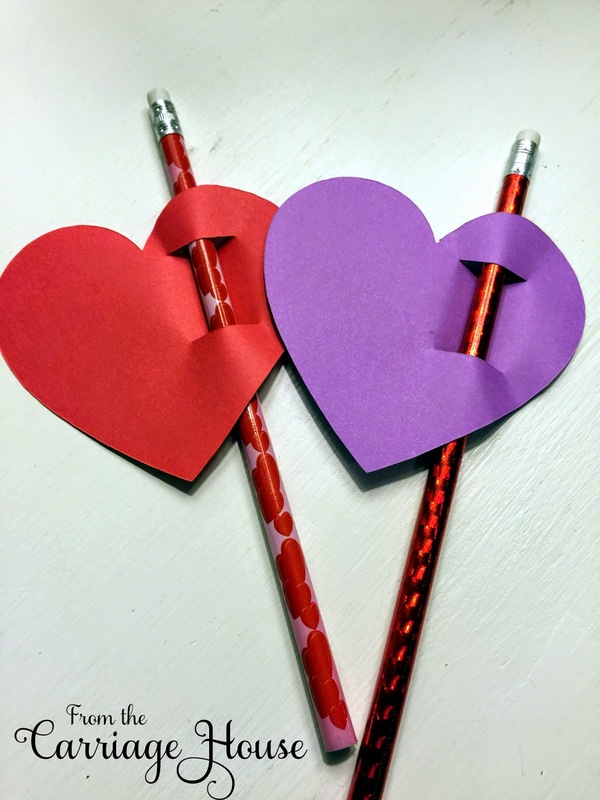 I cut simple hearts with slits to slide onto pencils from myself to the students and simply signed my name on the heart. 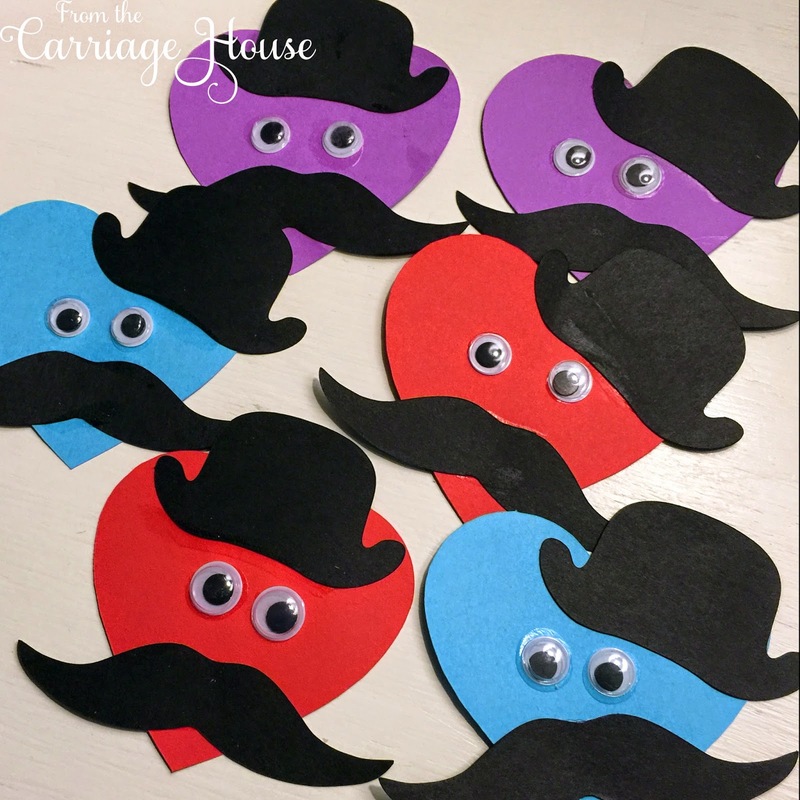 My youngest (with a little help) glued a mustache, eyes, and hat onto a heart. 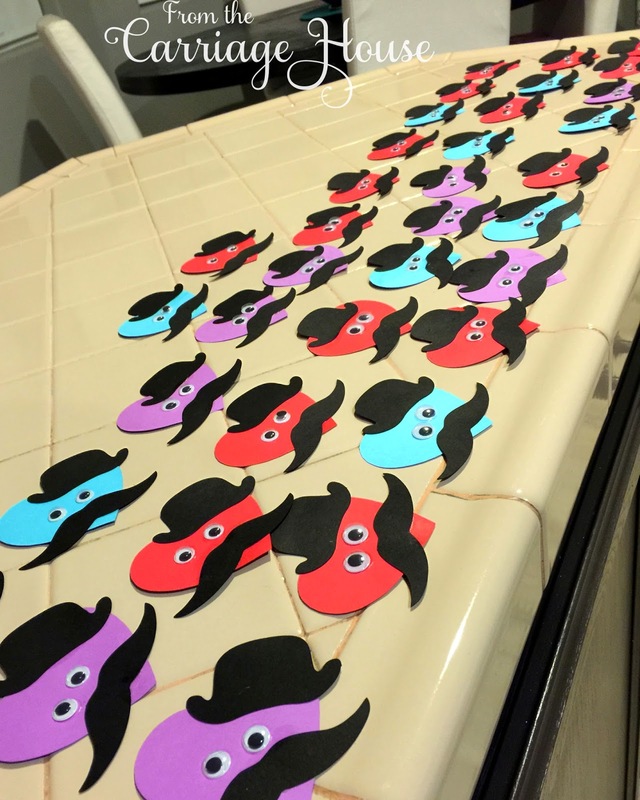 They turned out so cute...extra glue smeared here and there and all! My oldest simply signed his name on to cards I designed, printed, and cut. 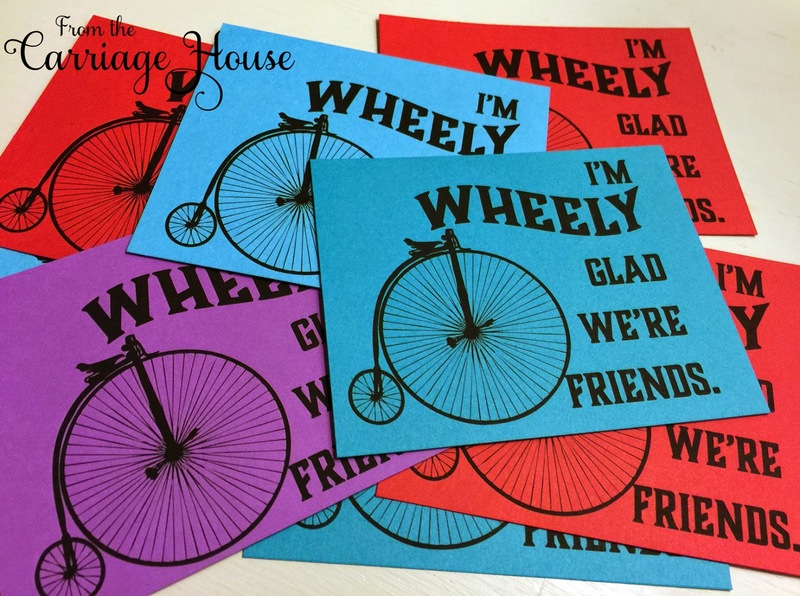 They were WHEELY simple but WHEELY cute. 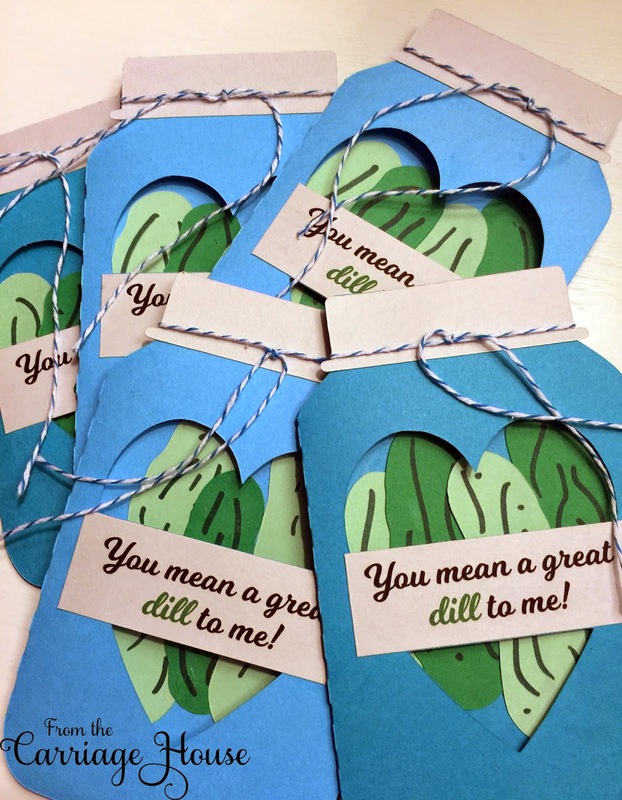 He also really wanted to make "dill pickle" valentines and use the phrase "You mean a great DILL to me" like he'd seen on a TV show. I thought it would be fun, but not times 33. 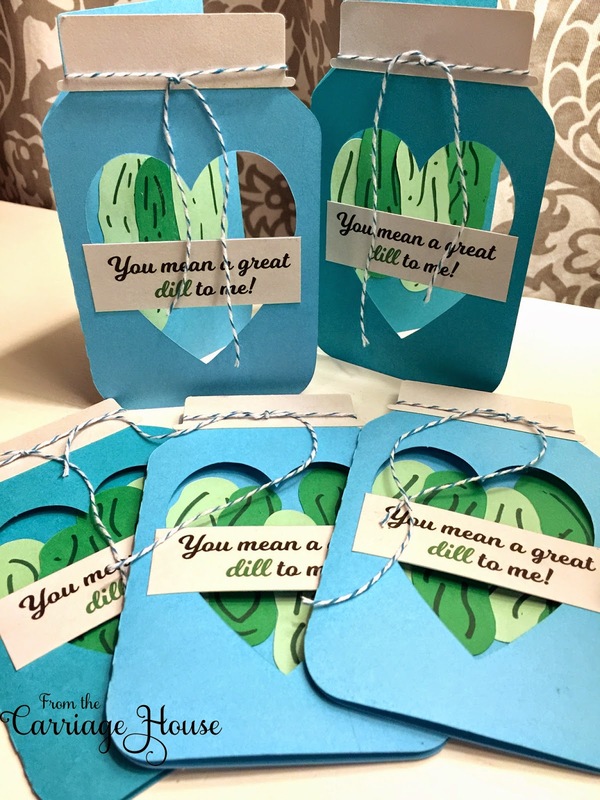 So he made pickles in canning jar cards for the teachers at our school with pieces I cut using my Silhouette. I spent $4 on supplies from the dollar store (pencils and googly eyes) and a couple of dollars on card stock from an office supply store that sells it by the sheet. I love how we each made different cards but had a unified color scheme. Enjoy your loved ones this weekend and always!